[News] Teen Top's Comeback is Known Worldwide Through Twitter... Why? 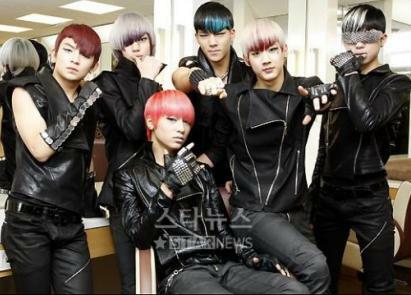 Group "Teen Top" has been known to be an issue through a worldwide networking site called "Twitter." With over 100,000,000 registered members, Teen Top's comeback performances of their second album's title song "Supa Luv" has been recognized on Twitter's "Today's Top 20." Twitter's "Today's Top 20" chart consists topics of global events, famous people, trends, etc., which is a similar concept to rankings from portal sites. On the 14th and 15th, the most popular selected words were used through Twitter during Teen Top's performances to their title song "Supa Luv" on music broadcast stations. It is very unusual for K-pop to receive this much attention worldwide. Teen Top is especially being recognized at the same level as DBSK, Big Bang, and other famous, top idol groups, and calling them "Hot Topics" as well. The Greater China and Southeast Asia, including Japan, South America, and Europe are paying close attention to Teen Top, calling them the next generation of K-pop. Before Teen Top even debuted, they were already communicating with their international fans using Twitter, and fan clubs from China, Thailand, Singapore, etc. were formed. Teen Top currently has over 20,000 followers on Twitter. On the other hand, after successfully completing their comeback performances, they are planning to have fan signing events, and will continue with their promotions.